His message is one of unity, imagination, merriment and the magic of youth. Dan says, "I love to hear that families enjoy this music together. When I see parents laughing, participating and really having fun at the shows with their children, I see them rediscover a little of what their kids feel every day! It's truly a wonderful thing to be a part of!" Born in St. Boniface, Manitoba, Daniel Devion has lived in many of the cities of Canada. Dan pleaded for his first guitar at age 12 and began a life long adventure with music. Dan and his family live in the dynamic, multicultural and cosmopolitan city of Toronto. As a young man, Dan traveled from coast to coast in Canada, through the United States and the Caribbean, playing with bands and as a solo singer/guitarist, perfecting his musicianship and developing a unique ability to entertain. Recalling his first invitation to perform at a young audience event in the early '90s, "For the first time in over ten years of performing, I was nervous and absolutely terrified! I was asked to write a theme song for a Children's Variety Show in Pickering, Ontario. The song ended up on TV and radio as an advertising jingle. Through an unexpected turn of events, I suddenly found myself the M.C. and first act of the live show! I looked out at this sea of young faces and just began to play. I was overwhelmed by the responsiveness of the children and how eager they were to get involved, truly enjoying the fun of it all." Dan hasn't been nervous since. A fond connection with this new young audience was born. 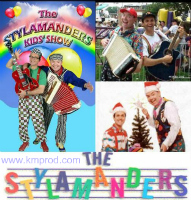 "From the outset, I tried to create a style of music, a show and an atmosphere in which the children, parents, teachers and care givers could all truly enjoy themselves, together. No parents reading paperbacks at these shows! It's fun for the kids but is really fun when we bring out the kids at heart!" says Dan. Since 1995, Dan has dedicated his passion and talent for musical fun to enthusiastic young audiences nationwide. At a Dan the Music Man concert, the young and the young at heart merrily join in the fun - singing, wiggling, giggling, rapping and rocking! Often right on stage with Dan! With multiple acclaimed recordings to his credit, Dan has developed a devoted audience from coast to coast and internationally. 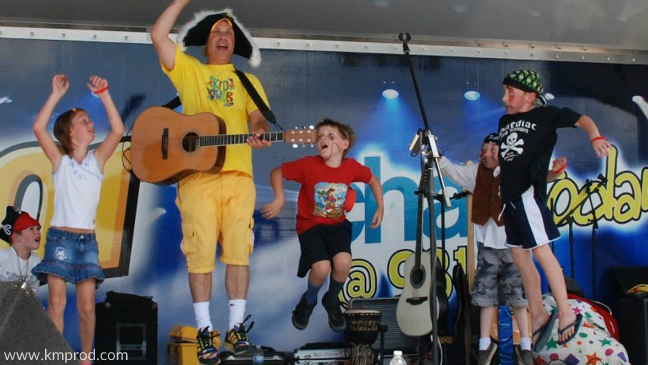 Family festivals, theatre series, fairs, events and attractions play proud host to Dan the Music Man's concert shows. Dan's experience as a music educator and program co-ordinator for pre-school and school-age music programs guarantees an exceptionally entertaining and educational show! Selecting from a vast repertoire of songs, games, activities and actions, Dan skillfully crafts the perfect show for your group and event. Always imaginative and full of participation. Always good family fun! Need a highlight for your special Holiday Season or themed Family Event? This kindling of holiday spirit warms the hearts of the young and old alike! Dan offers wonderful shows with a flavour for every season - including Christmas, Hanukkah and all holidays of our global village! 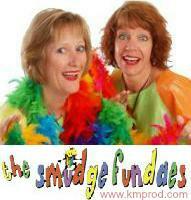 Dan Devion is represented by K&M Productions for corporate and company family events. For more information and booking Dan The Music Man / Dan Devion, contact us. Dan The Music Man can get children and adults up and moving no matter what the conditions are! His warm character brings children and adults alike to their feet and has them moving till the very last note. Dan The Music Man is one of Canada's must see children's entertainers! –The Canadian Tulip Festival Inc. The show was a complete success every time. The turn-outs and comments were phenomenal! Dan the Music Man is a great asset to our Social Itinerary!